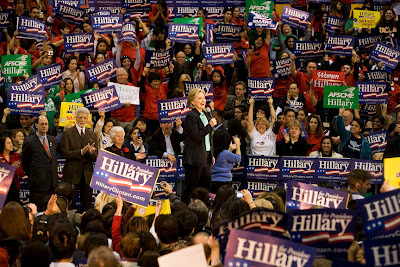 Senator Hillary Clinton spoke at a rally held at Cal State University. 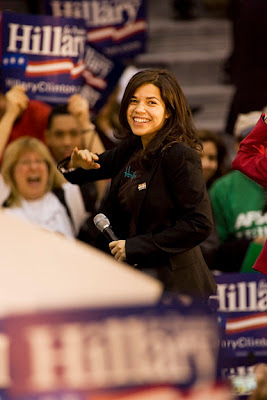 She received several endorsements form local politicians Gloria Molina, Ron Dellums, and California State Controller John Chiang. Earvin "Magic" Johnson was in attendance along with Ted Danson, Mary Steenburgen, Sally Field, and America Ferrera of "Ugly Betty" who enthusiastically endorsed Hillary for US President. Senator Clinton spoke for about an hour.